Modify Watches are super cool, interestingly unique, interchangeable watches for adults. A throwback to neon bands of the 90’s, Modify Watches are meant to get you noticed in a big way. Offering 13 stylish faces and 9 neat straps, the possibilities are almost endless for these “super dope” watches. Get them to match your favorite team, outfit, or just to make a statement. We were sent two straps and one face for my husband and I to share, which we were both pretty excited about. When I opened the box I realized this would never fit on my small-framed wrist. Not only is the strap made more for a man’s wrist, but the face/straps themselves are very big as well. No biggie, really, I just wouldn’t recommend the Classic Style watch for women. They would make a great gift for any man in your life. My husband loves his and wears it all the time. It’s very nice looking, well made, quirky and unique, and definitely gets him attention. His only complaint is that it’s a bit “sweaty” because of the rubber. 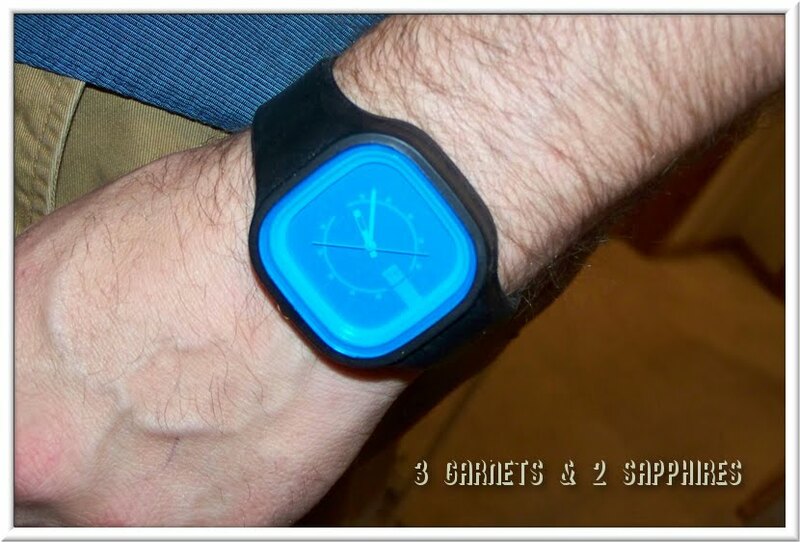 Besides that, he loves his Modify Watch and already wants more, like the argyle face. Checkout the Mini Style watch if you are shopping for a woman or a child. Modify Watches can be seen and bought on their website, www.modifywatches.com. 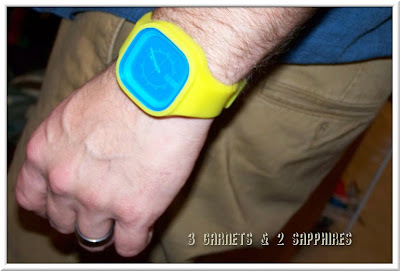 Thank you to Modify Watches for providing a complimentary product sample for us to base this review upon.